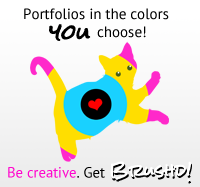 Minibon 2 is full-color and about the size of a CD booklet. 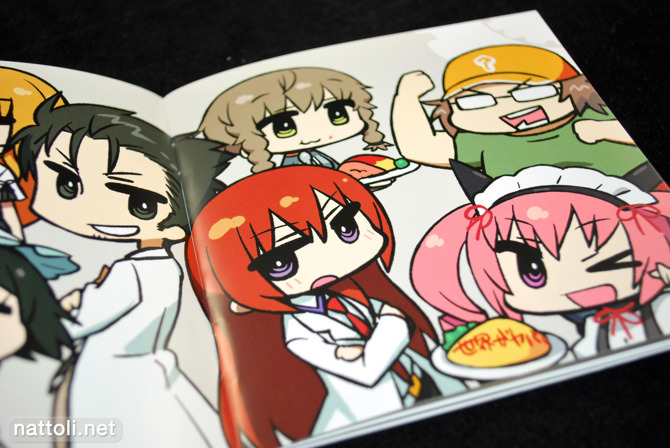 It's 20-pages including the covers, and there are illustrations even on the inside covers. Although CHANxCO can draw full-sized elaborate characters, it's the mini ones that are the focus of this collection. 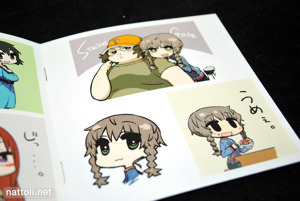 This booklet starts out with 4-pages featuring Wooser and friends. 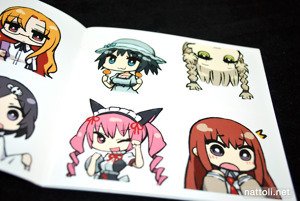 The Steins;Gate section is 6-pages, and includes individual as well as group illustrations of the characters. They're super small illustrations for the most part too, as they occupy half of the already tiny 120mm pages.